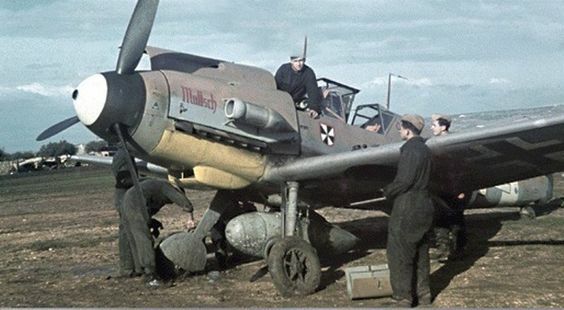 Thanks to Goran at the Luftwaffe Research Group for the find. 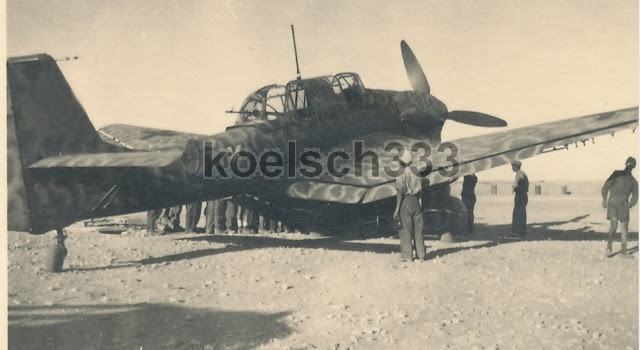 And from Jochen Prien ..." an early F-4 from the 7000 WerkNr. 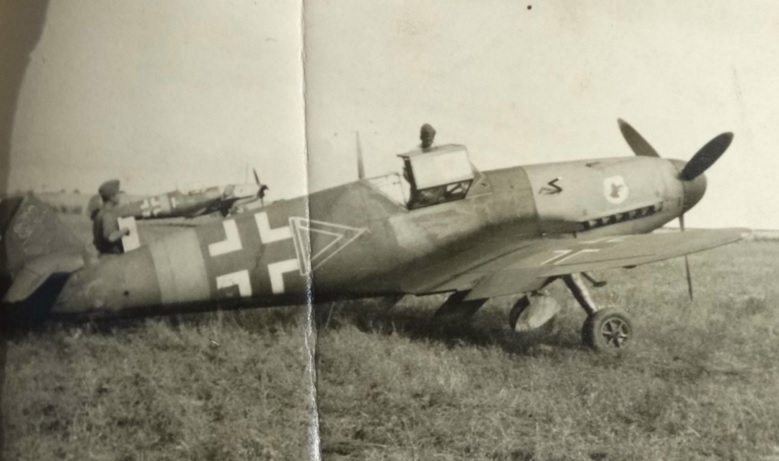 range since III./JG 77 was equipped with this sub-type when they converted to the Bf 109 F immediately prior to the German attack on the USSR. "White 1" in the background should be Oblt. Huy's mount again, seen in quite a lot of images from the early days of the war in the east..."